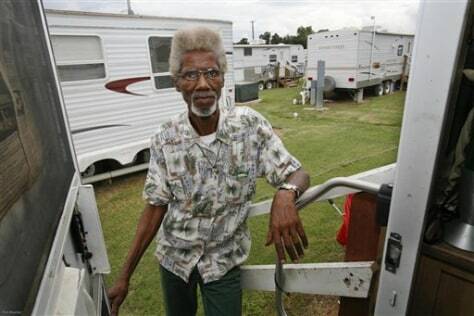 Renaissance Village trailer park resident Wilbert Ross stands at the doorway of his Federal Emergency Management Agency trailer Friday, in Baker, La. "What's the long-term effects of living here? We don't know," said Ross.